No matter where you’re traveling or what sites you’re visiting, you and your family will love the comfort, support and sleep you’ll get with our RV mattresses. Available in standard and custom sizes & shapes for a perfect fit. And shipping is always fast & free! All of our mattresses are proudly made in the USA! We’d happily sleep on every RV mattress we sell. All of our high quality motorhome mattresses will support you while you sleep and last about the same duration. The difference is in the nature of that support. 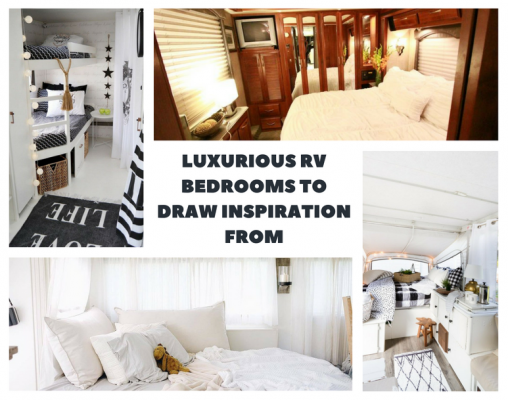 A thicker RV mattress allows high spots like hips and shoulders to sink in a little deeper. 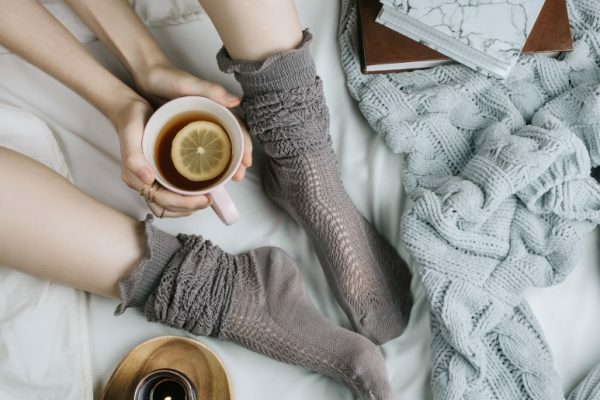 This means support is spread uniformly over more of your body—enhancing comfort and providing a more luxurious sleep experience. You’ll love the comfy sleep and the comfy price. Our RV mattress models work with all recreational vehicle brands, including Jayco, Keystone, Coachmen, Forest River, Fleetwood, Winnebago, Casita, Newmar, Tiffin, Pleasure Way, Lazy Daze, or any other brand. RV bedding typically has thickness restraints. 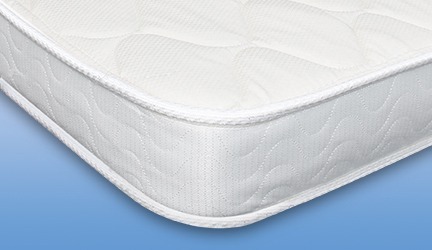 An 8-inch foam mattress provides supreme comfort and support. If this thickness doesn’t work with your travel trailer, our 5-inch foam mattress is also a very comfortable, supportive camper mattress. 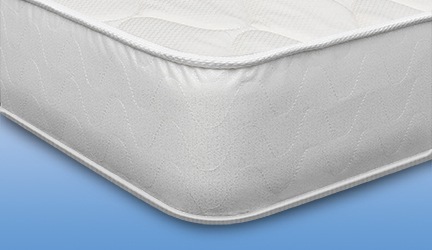 Replacement Mattress uses high-density foam (1.8 -1.9 lbs. per cu. ft.) that is better than most marine mattresses. See “All About Foam” under FAQS..
Our 5-inch foam trailer mattress will support a 200-lb. person sleeping without bottoming out. Our 8-inch foam camper mattress will support a 250-lb. person sleeping without bottoming out. Mattress cloth covers are referred to as ticking. We only use top quality ticking. Countess Trailer Mattress (5″) I am very happy with our purchase! Recreation vehicle mattresses are often uncomfortable. The good news is they can be as comfortable as the one on your bed at home. Upgrade to a custom camper mattress today before the next night’s uncomfortable sleep. Not sure which RV mattress to choose? 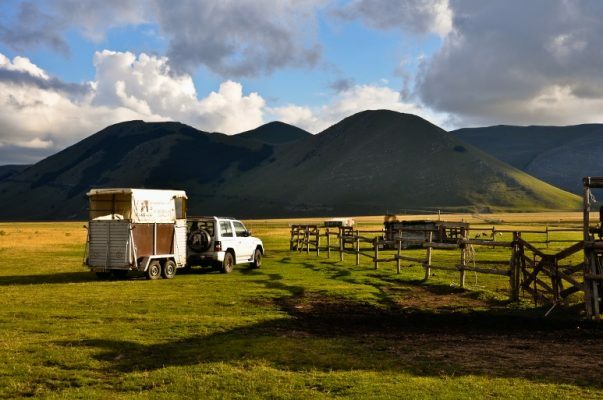 Check out our RV Mattress Buying Guide to help you make an informed decision. Created in about a week, often less. Made out of the very highest quality polyurethane foam and cloth covering. Delivered to your door at a great price (Shipping is included in the 48 contiguous states via FedEx Ground Service*). Made in custom sizes to fit your RV sleeping space, while providing the same quality and support you would expect from the popular mattress brands you have in your home. Whether you need a queen or short queen RV mattress, a king mattress or a full mattress, we have you covered. Easy to order—whether it’s for your RV, motorhome, trailer or fifth wheel. Made to accommodate any RV: Jayco, Keystone, Coachmen, Forest River, Fleetwood, Winnebago, Casita, Newmar, Tiffin, Pleasure Way, Lazy Daze, or any other brand. 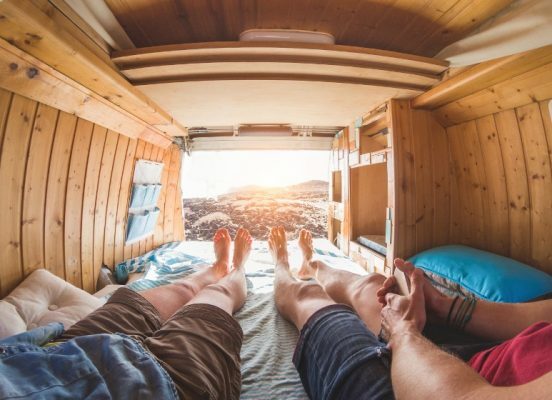 Whether you prefer a camper mattress with or without memory foam, you’re going to like the sleep you get on your new RV mattress. If you need help, just give us a call at 888.889.2812. We love to talk RV mattresses.